The library has twelve public computers -- eight for adults on the main level, two in the young adult section and four for children in the Children's Department on the lower level. These computers provide high speed access to the Internet and are equipped with Microsoft Office applications such as Word and Excel. 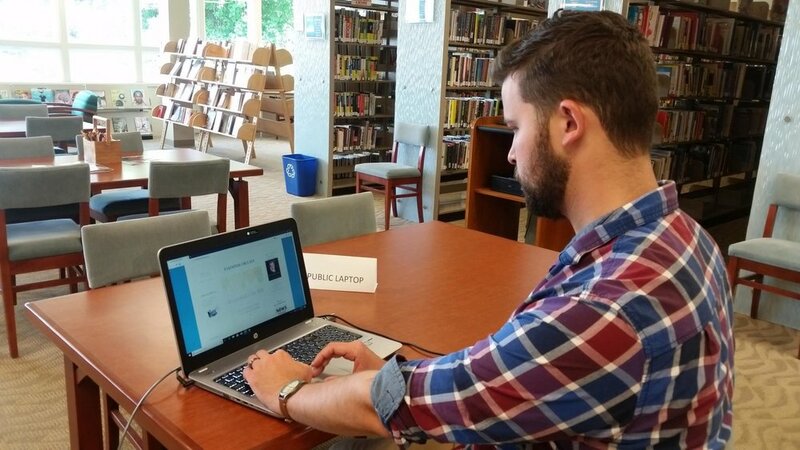 Computer use is free to all but users must log in with their library card and PIN. Computer use passes are available to visitors -- please see the reference librarian. Our technology policy is available to view here. The Library offers individual computer tutoring! Patrons of all abilities are invited to schedule an appointment for either a half-hour or one-hour session with our knowledgeable computer tutors, who will work with you at your own pace in a relaxed environment. Call us at 732-842-0690 x111 or visit our reference desk to sign up. A printer is available for the public computers in the reference area. Each black and white page costs $0.15. Each color page costs $0.40. A photocopier is available by the circulation desk for the same prices. Wireless printing is available through this link. 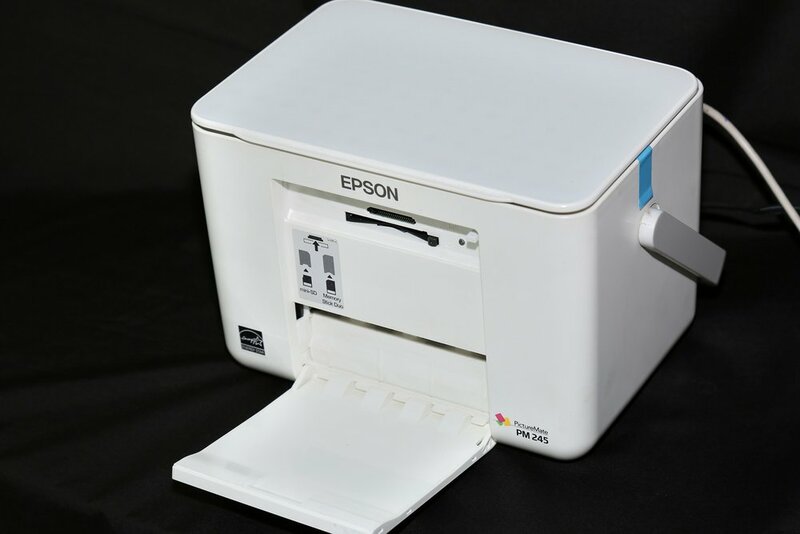 A scanner is also available to our patrons free of charge, as is a microfilm reader and printer. Wireless Internet (WiFi) is free and available to anyone who has a laptop computer. A password is not required - the network ID is "RBPL Wifi." We also have publicly available laptops for all patrons. Ask the reference librarian if all of the laptops out are taken — we may have more available! The library offers a wide range of services — if you don’t see something you need, ask! We may already have it, and at the very least, we will be able to help you find it. We hold events nearly every day of the week — you can visit our calendar here — and our catalog gives our patrons access to millions of books, comic books, audiobooks, and DVDs. We also have a Book Sale Room, which offers the cheapest deal on used books in town, and a once-a-month “Fill a Bag for $5” Book Sale. Notary is a free service to Red Bank Public Library cardholders. Effective August 15, 2016 there will be a charge of $1.00 per signature for non Red Bank Public Library cardholders. The Red Bank Public Library offers Notary Public services for the benefit of the residents of our community. The service available during our hours of operation, but patrons should call in advance to make sure one of our notaries is in the library. We do have a Spanish-speaking notary available. For our full list of Notary policies (including what can and can’t be notarized, limits, and costs), visit our Notary Policy page. In partnership with the Literacy Volunteers of Monmouth, we offer once-a-week ESL Classes, on Thursdays at 7. Find more of their programs at their site: www.lvmonmouthnj.org. ¿Quiere hablar Inglés? Venga y únase a las clases de conversaciones en Inglés dirigida por los tutores de Literacy Volunteers de Monmouth County este verano a la biblioteca de Red Bank. Por favor traiga un cuaderno y un lapiz o boligrafo para cada clase. Aprenda Inglés para ayudarle en el trabajo, en al hogar y en la comunidad. Conozca y parctique su Inglés con aquellos que también están aprendiendo. Diviértase mientras aprenda en un ambiente libre de estrés. No se provee cuidado infantil. Para mas información llamar a Literacy Volunteers of Monmouth County al 732-571-0209 o visite la pagine web www.lvmonmouthnj.org. We have a selection of almost a dozen baking pans in different shapes. You can check any one of the pans out for two weeks; bake a cake for your event, then return the washed pan for the next patron who needs it. As long as you return the pan within the two-week period, it is free of charge. In addition, if you have a specialty pan in good condition that you no longer use regularly we invite you to donate it to our collection. Included with your check out is a convenient carry bag for the cake pan and laminated directions. For a full list of the pans available (as well as policies), visit our Cake Pan page.